On September 21, Israeli newspaper Ha’aretz reported that Israel Occupation Force (IOF) claimed a ‘convincing victory’ over Lebanese Islamic resistance fighters in a massive drill conducted by its Northern Command last week (watch video below). This corps exercise is the first of its kind in 20 years. It comes after the recent defeat of Israel’s proxy war in Syria and Lebanon. Thousands of Israeli military personnel from army, air force and navy took part in the 10-day long drill. Israel’s impressive Iron Dome aka Dumb Dome was also tested to counter Hizbullah rockets. The drill was to show Israel’s military strength, built by the US, Germany and France, in order to scare Hizbullah and its Iranian and Syrian allies. One must laud IOF’s self-denial as it has lost all three wars it fought against Hizbullah since late 1980s. “For years, senior officers and strategy experts have been agonizing over whether the IDF’s equipment and combat methods are suited to meet the new challenge posed by organizations like Hezbollah in Lebanon (and, to a lesser extent, Hamas in Gaza) now that the threat of facing the armies of some neighboring countries has declined. This year, a new question has been added: Given the clear advantage the Assad regime has established in the Syrian civil war, don’t these new regional circumstances require Israel to modify its way of thinking about potential future conflicts?,” wrote Amos Harel. However, Amos Harel, was honest to admit that IOF might have defeated Hizbullah in a military drill on its own choice of terrain and command – but in a real war with Hizbullah, it might not have those advantages. “It’s much easier to declare victory in an exercise than in a war, whereas the direction in which things develop at the moment of truth is to a large extent dependent on the dialogue between the general staff and the political echelon,” said Harel. “Hizbullah is aware of the Israeli military’s preparations for the exercise and is expected to do its utmost to analyze Israel’s plans and assess its capabilities. Despite the soothing messages emerging from Israel, which stress that this is no more than a drill, one can assume that regional anxieties will rise over the coming 10 days,” added Harel. However, Netanyahu, his ministers and Generals have not learned lessons from their past military humiliations. They have not stopped threatening successive Lebanese governments with total devastation of Lebanon unless it disarm Hizbullah. However, every time IOF did that – Hizbullah came out more stronger in combating Israeli army and popular among Lebanese population. Last week, in an interview with French daily Le Monde, Lebanese prime minister Sa’ad Hariri rebuked Netanyahu’s claim that Hizbullah controls Lebanon. “The Israelis say Hizbullah controls Lebanon, and that is not true. 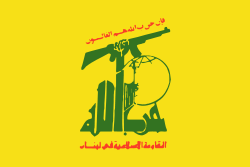 Hizbullah is present. It’s in the government and it has support in the country. But this doesn’t mean Hizbullah controls all of Lebanon,” he said. Saudi-born Sa’ad Hariri has close family ties with Saudi ‘royals’. He recently visited Riyadh and Washington but hasn’t visited Iran since 2010.